Photos taken on January 15, 2012 at the Geneva Watch Fair. Mr. Pasquale Gangi and Chess Queen Alexandra Kosteniuk are presenting to the public an exclusive chess pocket watch. Photos from the simul given by Chess Queen Alexandra Kosteniuk at the Zurich Chess Club Savoy Corner on January 13, 2012. Photos taken by Pierre-William Henry during the September 3, 2011 chess Simul of Alexandra Kosteniuk in Neuchatel, Switzerland. Photos taken by Swiss photographer Nicolas Righetti in July 2011 for Migros Magazine to illustrate Chess Queen Alexandra Kosteniuk's recipe for Beef Stroganoff. All photos are © Nicolas Righetti. These photos were taken on June 3, 2011 by Pufichek of Chess Queen Alexandra Kosteniuk and the Chess Sets from the Russian Chess Set Manufacturing Company "Shakhmaty" in the city of Orlov, Kirov Region. The photos are © Pufichek. Here are the best photos taken during the May 20 Culinary event, organized by the Norwegian Seafood Export Council in St. Petersburg, Russia. The photos were taken by photographer Alexandra Belensky (Александр Беленький) whom we thank for allowing us to use them. As you can see from the images, everyone had a great time at this event! Women's World Chess Champion and Chess Queen Alexandra Kosteniuk teamed up with the large Norwegian Seafood Export Council to promote healthy eating habits, which include high quality fish, which contain OMEGA-3 oils. The collaboration started on November 30, 2010, with a culinary master-class, where cooking of cannelloni was shown to kids, and while the cannelloni were baking, Alexandra managed to play a chess simul with all of them! 31-board Simul by Chess Queen Alexandra Kosteniuk at the Manor Commercial Center of Sierre, Valais, Switzerland. Alexandra won 27 games, 4 draws, and no losses. Photos by Pufichek. Photos of the 2010 Chess Olympiads at Khanty-Mansiysk, where the team Russia-1 (Tatiana and Nadezhda Kosintseva, Alexandra Kosteniuk, Alisa Galliamova and Valentina Gunina won the women's section with a record 11 match wins out of 11. The Russian men got silver, with Ukraine getting gold. Photos by Pufichek, use of the photos without express permission not authorized. The 2010 Women's World Chess Blitz Championship took place in Moscow. It was the strongest in history and was won by Kateryna Lahno, followed by Tatiana Kosintseva, Gunina, Stefanova, Koneru, Alexandra Kosteniuk, Gaponenko, Nadezhda Kosintseva, Sebag, Muzychuk, Paikidze, Skripchenko, Krush, Zhukova, Nebolsina. Photos by Pufichek. Photos of the Press Conference where The Caissa Award (proposed by women's world chess champion Alexandra Kosteniuk and created by jewelry firm Lobortas) Award was presented to Nadezhda Kosintseva, best women player of 2009, in the presence of Nona Gaprindashvili. Photos of the 10 top players of Switzerland, playing in the National Titel-Turnier of Lenzerheide 2010. This was the strongest National tournament ever, with the participation of 5 GM's Yannick Pelletier, Joseph Gallagher, Alexandra Kosteniuk, Viktor Kortchoi and Florian Jenni. Photos © Pufichek and chesspics.com. Ask permission to use them at pufichek@yahoo.com . Photos taken by Pufichek in May 2010 in Lima, Cusco and the Machu Picchu, Peru, where Women's World Chess Champion & Chess Queen Alexandra Kosteniuk played Girls Under-16 World Champion Deysi Cori. The match was won by Alexandra Kosteniuk with the score of 2-1. Photos taken on May 15, 2010, during the Miami-Dade District Scholastics Chess Championship, organized by the Title 1 chess program. Present was Miami-Dade Superintendent for schools Alberto Carvalho, organizer Elizabeth Tejada, and Star guest women's world chess champion and chess queen Alexandra Kosteniuk. Women's World Chess Champion and Chess Queen Alexandra Kosteniuk at the 2010 National Elementary Chess Championships in Atlanta, May 7-9, 2010. Alexandra gave a chess simul, then signed autographs, and participated in the Free USCF-FIDE women's chess seminar. This may be the largest chess promotion project of 2010, when Women's World Chess Champion and Chess Queen Alexandra Kosteniuk worked with the company JGB of Colombia to promote the game of chess to kids, together with their vitamin supplement brand Tarrito Rojo. Several simuls took place in Bogota and Medellin, as well as goodwill donations to foundations of underprivileged kids and military veterans. Photos of Chess Queen and Women's World Chess Champion Alexandra Kosteniuk in Bogota, in front of a giant chess set and in the mall where the Tarrito Rojo Chess Talent 2010 took place. Photos taken by Pufichek in April 2010 during the Tarrito Rojo Chess Talent 2010 of Chess Queen and Women's World Chess Champion Alexandra Kosteniuk visiting Medellin, Colombia. Photos taken on April 24, 2010 in Indialantic, Florida, during the Space Coast Chess Festival, when Chess Queen Alexandra Kosteniuk gave a 46 board simul, with result +42 =3 -1. Holiday photos of Women's World Chess Champion and Chess Queen Alexandra Kosteniuk. These photos were taken on December 11, 2009 by Pufichek at the Dallas Scholastics K-12 Nationals. 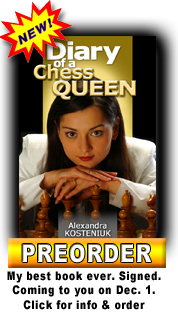 Women's World Chess Champion Alexandra Kosteniuk gave a 44-board simul and had a book signing for her new book "Diary of a Chess Queen". Photos of the 2009 World Blitz Championship, played in the Moscow GUM. It was won by 1. Magnus Carlsen 2. Vishy Anand and 3. Sergey Karjakin. A memorable event for Women's World Chess Champion Alexandra Kosteniuk who managed to beat tenured Grandmasters such as Men's World Champion Vishy Anand (ELO 2788), World rated #1 Magnus Carlsen (ELO 2801), World rated #5 Aronian (ELO 2781), World rated #6 Gashimov (ELO 2758), World rated #10 Morozevich (ELO 2750), as well as Judith Polgar (Women's rated #1, ELO 2680, who had previously never lost to a woman). 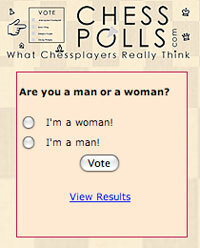 All photos are by Pufichek and © chesspics.com . They can be used only with written permission. Bona Fide Press Agencies can enquire how to get hi-res versions for publication. The classic Halloween series by Women's World Champion Alexandra Kosteniuk, photographed by Pufichek, re-issued in higher quality. These photos were taken by Pufichek on September 25, 2009, on the beach in Florida. The chess set is from Blas Lugo of the Miami Chess Academy, the dress is by Zimaletto. Some photos taken on September 12, 2009. Women's World Champion Alexandra Kosteniuk is photographed with her 2-year old baby Francesca in Moscow by Pufichek. Dress by Zimaletto. Promotional photos © Pufichek taken of Women's World Chess Champion and Chess Queen™ Alexandra Kosteniuk in July 2009. The clothes are kindly provided by Zimaletto , the verticall wall-mounted chess board by Straight Up Chess and the necklaces by Jewelry by Juliana . Women's World Chess Campion, Grandmaster Alexandra Kosteniuk was in Panama on June 18-21, to promote chess to children. All photos © Pufichek. Some fashion photos of Women's World Chess Champion Alexandra Kosteniuk, taken in Panama in June 2009. The dresses are kindly provided by Zimaletto and the necklaces by Jewelry by Juliana . Read the Press Release about the Cooperation Kosteniuk - Zimaletto . A blue and pink series of beach photos of Women's World Chess Champion Alexandra Kosteniuk, taken by Pufichek in April 2009 in Miami, Florida. The beautiful large chess pieces in the photos are by Giant Chess www.giantchess.com . If you'd like to use some of the photos on your blog or you would like a high-res for publication just shoot us an email at pufichek@yahoo.com . Photos taken on May 16, 2009, in Le Port Marly close to Paris, where World Chess Champion Alexandra Kosteniuk and her friend chess champion Almira Skripchenko played a tandem simul against 20 chess players. Photos are by Pufichek © www.chesspics.com use only with written permission. Photos from the 2009 "Match des Championnes" Rapid Match between women's World chess champion Alexandra Kosteniuk and French women's chess champion Sophie Milliet. The match was organized by the Corsica Chess League with at its head Leo Battesti and took place in Porto Vecchio, Corsica (Corse) with hundreds of school children as spectators. Photo album includes tourism in the beautiful southern village of Bonifacio. All photos by Pufichek. Women's World Champion Alexandra Kosteniuk spent a weekend in New York and performed a fundraising goodwill simul for the U.S. Chess Trust at the British International School on Saturday March 21, 2009. The previous day she visited the Marshall Chess Club, and was welcomed by its President Mr. Frank Brady. Alexandra was in New York with her 23 months old baby Francesca. Women's World Chess Champion Alexandra Kosteniuk visited the Florida SuperState Chess Championship, which took place in Miami on the weekend of February 7-8, 2009. By order of FIDE President Kirsan Ilyumzhinov, Women's World Chess Champion Alexandra Kosteniuk was given this National Costume of the Republic of Kalmykia. Women World Champion Alexandra Kosteniuk was the guest of honor in Elista, Republic of Kalmykia, Russia in December 2008. FIDE President Kirsan Ilyumzhinov offered a horse as a gift to Alexandra for her win at the recent world championship. Alexandra also gave several simuls, including to the School of Iki-Chonos. Pufichek presents his photos of the visit of Women's World Chess Champion Alexandra Kosteniuk to Korea, in December 2008. Alexandra was invited by the Korea Chess Federation, she played a 40-board simul and helped close the 1st Korea Chess Open Tournament. Photos from the 2nd Cup "Alexandra Kosteniuk" that took place in Moscow, Russia, on November 28-29, 2008 for kids under 6 and under 8. Фотографии участников и организаторов 2-го Кубка Александры Костенюк 2008 среди детей до 6 и до 8 лет, проходившего в Центральном Доме Шахматиста в Москве 29 и 30 ноября 2008 года. Photos taken on November 4, 2008 at the Dvorkovich Gostinaya in Moscow. It was an evening celebrating Alexandra Kosteniuk who just got the World Champion title for Russia. Lots of important guests, Ilyumzhinov, Dvorkovich, Bakh, Govorukhin, and lots of other guests. Here are the photos of the First ever Mind Sports Games in Beijing, China, in October 2008. 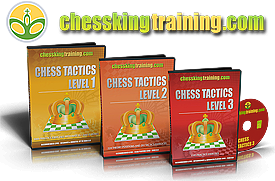 Pufichek covers the Russian Women's team, made of World Chess Champion Alexandra Kosteniuk, Natalia Pogonina, Valentina Gunina and Irina Vasilevich. The team took Gold in the Blitz event. A few days earlier, Alexandra Kosteniuk also took Gold in the Individual Blitz event. 138 photos by Pufichek of the Semi-Finals and Finals of the Nalchik Women World Chess Championship, in which Grandmaster Alexandra Kosteniuk became World Champion. Alexandra played in the finals Pia Cramling and in the Finals Hou Yifan. These are the final photos of the 2008 Women World Championship in Nalchik, Kabardino-Balkaria, Russia, where Grandmaster Alexandra Kosteniuk was crowned World Chess Champion. She is wearing a national costume of host republic Kabardino-Balkaria and received a crown adorned of 46 diamonds and 3 sapphires. The photos are © Pufichek. Please contact us if you'd like to use any on your web site (free but need written permission) or purchase one in hi-resolution for print. These photos were taken on September 12, 2008 during the Women World Chess Championship in Nalchik. During a free day before the final, chess grandmaster Alexandra Kosteniuk visited the area near Mount Elbrus (5,642m), in Kabardino-Balkaria. She went up to 3,500 m. Photos © Pufichek. Alexandra Kosteniuk visits the Blue Lake (Goluboe Ozero) not far from the Women World Championship in Nalchik during her rest day. This lake is amazing by its natural color and is extremely deep, divers have gone down a record 180 meters. This is a portrait gallery © Pufichek of the beautiful chess players participating in the 2008 Nalchik World Women Chess Championship. Chess Grandmaster Alexandra Kosteniuk visits the Chegenskie waterfalls near Nalchik, during a free day of the World Women Chess Championship. Some photos © Pufichek of the chess grandmasters playing in the 2008 Tal Memorial in Moscow. 143 photos taken during the 2008 Mainz Chess960 Women's World Championship, won by Alexandra Kosteniuk, with runner-up Kateryna Lahno, third Viktorija Cmilyte and 4th Natalia Zhukova. Here are some photos © Pufichek of the 2008 Economic Forum in St. Petersburg, where Grandmaster Alexandra Kosteniuk was invited and many personalities were present, such as Zhukov, Dvorkovich, Khloponin, and many others. 125 photos by Pufichek of the 2008 Perm IMSA (International Mind Sports Association) Cup. 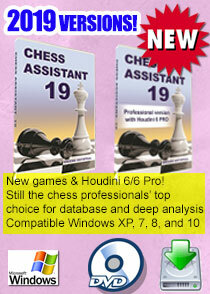 The association and competition unites 4 mind sports: chess, draughts, bridge and go. This event is in preparation for the 1st World Mind Sports Games in Beijing in October 2008. 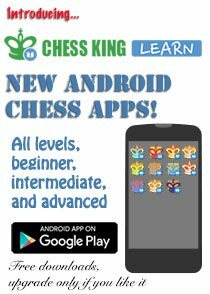 Starring in this event are GM Anatoly Karpov and Alexandra Kosteniuk, as well as many top champions in draughts, go and bridge. These photos are © Pufichek and cannot be used without permission. Photos of the simul of GM Alexandra Kosteniuk at Columbia University in New York on April 13, 2008. Some photos taken on March 26, 2008, when Alexandra Kosteniuk visited Ben Silva's elective chess class at the Miami Beach High School to give a lecture on attacking possibilities in the Queen's Indian Defense. Photos of the November 24, 2007 Moscow closed chess evening and blitz and simul organized by Arkady Dvorkovich, deputy Economy Minister. Top guests were Russian First Deputy Prime Minister Alexander Zhukov, world champions Anand and Kramnik, and GM's Kosteniuk, Vasiukov, Dlugy, Vaisser. The blitz tournament was won by GMs Kosteniuk and Vasiukov with 9 out of 11. Woman Grandmaster Natalia Zhukova was also invited and is featured in the photo album. Please vote (5 max, 1 min) for the photos you like best. Photos from the 2007 Memorial Tal in Moscow, together with the World Chess Blitz Championship. Photos taken in Crete during the 2007 European Team Chess Championships. Grandmaster Alexandra Kosteniuk plays on the first board of the Russian women's team, which comprises also the Kosintseva sisters, Kovalevskaya and Korbut. Note: We just added photos of the 9th round, they are on pages 3, 4 and 5 of the album. Please check them out and vote for your favorite photos so your favorite photos make it up to the first page. Note that only one vote per day per IP is allowed, so sorry for the participants of the European Championships, who try to vote from the same hotel = IP. When you go home you'll be able to vote without problems. Thanks! Photos from the 2007 Festival "Echecs et Musique" at the Villandry Castle in France. Won by GM Laurent Fressinet, then GM Alexandra Kosteniuk, GM Viktor Korchnoi and IM Almira Skripchenko. Pianist Natacha Kudritskaya. Trip to Gmunden by Chess Grandmaster Alexandra Kosteniuk, where she played a simul and visited the charming Austrian town. These are some photos of Russian champion Alexandra Kosteniuk and French champion Almira Skripchenko during their trip to Nevada, in December 2005. Photos taken by Pierre-W. Henry and by Pufichek of Grandmaster Alexandra Kosteniuk in Vizcaya Park (Miami, USA) on April 19, 2007, while Alexandra was almost 7 months pregnant. The green painted chess board is by Miss Boll. GM Alexandra Kosteniuk made a Goodwill appearance at the 2007 Florida Superstate IV Scholastic Chess Championship, in Miami on March 23-25, 2007. She played a goodwill simul, analyzed games, donated (in cooperation with Excalibur Electronics) prizes to top girl finishers in all sections, and ran a puzzle competition with several prizes. A fashion photo of chess Grandmaster Alexandra Kosteniuk by well-known fashion photographer Vladimir Shirokov for the Russian magazine Prosport, where an article about Kosteniuk was printed in October 2006. Photos taken by Pufichek during the Mexico Chess Festival 2006, during which 2 Guiness World Records were achieved. A Grandmaster tournament took place, won by Karjakin, in 2nd-3rd place A. Kosteniuk and V. Kortchnoi, and in 4th position G. Hernandez. Many photos taken with Anatoly Karpov at the Mexican pyramids of Teotihuacan. These photos were taken on September 27, 2006, during the Press Conference and Simul to celebrate the opening of the monthly Photo Exposition in Coffeemania with Chess Champion Alexandra Kosteniuk. Photos by Pufichek. Photos taken in Mainz on August 15-16, 2006, during the World Chess960 Championships. Alexandra Kosteniuk beats Germany's Elisabeth Paehtz 5.5 to 2.5 and wins the title of WORLD CHAMPION CHESS960. Alexandra will defend her title in 2007 in Mainz. Photos of Chess Grandmaster Alexandra Kosteniuk taken in Miami on July 25, 2006. These photos were taken in Moscow by well-known photographer Andrei Rozen. The photos were taken in Moscow, in the cafe "Vogue" and also in the Sokol'niki park. Photos of Chess Queen and 12th Women's World Chess Champion Grandmaster Alexandra Kosteniuk, specially for Halloween. Photos by Pufichek. Chess Champion Alexandra Kosteniuk visits the charming town of Cureglia, close to Lugano, Switzerland, she gives a Goodwill Simul and plays the annual Cureglia Blitz Marathon These photos were taken in Cureglia, near Lugano, Switzerland, on June 17 and 18, 2006. Alexandra gave a Goodwill Chess Simul on Saturday, conceding only one draw (and getting 15 wins), then she played the Cureglia Blitz Marathon the next day, achieving 24 points out of 25 possible. Here you will find the largest collection of Torino Chess Portraits, as well as general photos of the Torino 2006 Chess Olympiads. Here is the BEST PHOTO ALBUM of the players of the 2006 Women World Chess Championship. You can also see a general photo album with photos of the matches played by clicking here. Watch the games live on the official site each day at 3 PM Ekaterinburg time (= 11 AM Paris time, 5 AM EST). These are scans of some of the covers of magazines and newspapers in which Alexandra has appeared, alongside an article promoting chess. Click on any small picture to see it bigger, then click on the big one to see the next big one. These photos were taken in September 2005, in Moscow (Russia), just after the Golden Blitz tournament. The weather is beautiful in Moscow, Alexandra and Almira go for a stroll. Click on any small picture to see it bigger, then click on the big one to see the next big one. These photos were taken on September 18, 2005, during a simultaneous exhibition in Zurich, Switzerland, sponsored by Bank Hofmann. Alexandra only lost one game and made 6 draws, and won all other games. Click on any small picture to see it bigger, then click on the big one to see the next big one. These photos were taken on September 13 and 14, 2005, during the Golden Blitz tournament in Moscow, organized by VV Profi, IGP and the ACP. Click on any small picture to see it bigger, then click on the big one to see the next big one. These photos were taken on September 5, 2005 on a walking visit of the beautiful city of Kazan, in the Republic of Tatarstan (Russia). Click on any small picture to see it bigger, then click on the big one to see the next big one. These photos were taken on August 28, 2005 in the Moscow park "Muzeon", where the Moscow Chess Blitz Championship took part. This is probably the strongest city chess blitz championship in the world, and Alexandra, current Russian Women Champion, was the only woman playing in this very tough tournament. Chess Grandmaster Alexandra Kosteniuk is playing on the first board of Russia's team in the European Team Championships in Goteborg: RUSSIAN TEAM GETS BRONZE TEAM MEDAL These photos were taken during the European Team Championships in Goteborg in July-August 2005. Russia's Women Team got Bronze behind Poland and Georgia. These photos were taken on May 30, 2005 on the day following the simul Chess Champion Alexandra Kosteniuk gave in Frascati to the players of the Italian Chess Correspondence League. Alexandra visited several sites in Rome. These photos were taken on March 8, 2005 in Montreux, Switzerland, where Alexandra gave a 31-board simul organized by the Chess Club of Montreux. She obtained the good result of +24 =4 -3, losing only against J.-F. Croset, M. Bandler, and W. Baumgartner, bravo to all! These photos were taken on March 4-5, 2005 in Torino, Italy, at the inauguration of the website of the 2006 Chess Olympiads, for which Chess Grandmaster Alexandra has been named the official Godmother of the event. Alexandra participated in the Press Conference and played a Simul against VIP's the next day. These photos were taken by famous Swiss photographer Pierre-William Henry. The photos were taken in Miami Beach and Key Biscayne (Florida), on location, to promote the game of chess in the world. We hope you enjoy them. Note that 7 different chess sets/chess pieces were used in this series. These photos were taken in February 2005 in Moscow (Russia), during the famous Aeroflot Chess Tournament. Alexandra played in the strongest "A1" Grandmaster tournament. Only 2 women took part in the top GM tournament, and Alexandra got the best result. These photos were taken on February 14, 2005 in the Hotel Rossia, Moscow, where the Famous Aeroflot Chess Tournament will take place. Alexandra will play in the strongest "A" Grandmaster tournament. These photos were taken on February 11-12, 2005 in the beautiful Zvenigorod Sanatorium (45 kilometers north of Moscow, Russia) built in the late 18th century and given as a gift by Pavel 1st to his favorite Anna Lapukhina. This is where the Russian National Chess Team goes for chess training before important competitions. These photos were taken on February 1, 2005, in Paris (France), two days after the end of the Wijk aan Zee tournament in Holland. Alexandra and her husband invited GM Sergei Karjakin and his mother Tatiana for a walk to Montmartre and to vist the famous and beautiful Sacré Coeur Cathedral. We hope you will enjoy Alexandra's Christmas Chess 2004 photos, taken in Miami on December 24, 2004, while Alexandra was on a short vacation. Alexandra is wearing a special Christmas costume for the occasion. These photos were taken on December 27, 2004 at the Orange Bowl Youth Tournament, in Miami, Florida, USA. Alexandra gave autographs and posed for photos with fans. If you are one of the players photographed with Alexandra, and you see a photo of you with Alexandra that you'd like to have, please send us an email and we will mail or email you the photo(s) for free! These photos were taken on December 21, 2004 in Cali, Colombia, where Alexandra gave a Goodwill Simul to children and other club players. She obtained 28 wins and 1 loss in 29 games. Lots of presents were handed out and everyone was pleased to have the opportunity to play with her. These photos were taken in December 2004, in Aix-en-Provence, during the Grand Prix 2004. You will find photos of the competition, players, Alexandra's game against the public. These photos were taken in November 2004, in Moscow, during the 57th Superfinal Russian Championship, which Kasparov won convincingly. You will find photos of the players, and of the opening and closing ceremonies. These photos were taken on November 25, 2004, at the Russian Duma (equivalent of the Congress in the USA). Her opponents were Duma Deputies and their assistants. Alexandra's result: +16, =2, -1. This is Alexandra's first event after she was awarded the Men Grandmaster title, a first for Russia in the whole history of chess. These photos were taken during the 36th Chess Olympiads, in Calvia (Majorca, Spain) from October 14 to 31, 2004. Alexandra Kosteniuk, on the first board of the Russian Team, did a very good 7/11 (ELO performance 2539), including a win against World Chess Champion Stefanova for the second time in 2004. These photos were taken in the period September 15-20, 2004 at the Lausanne Young Masters Tournament. The winner of the tournament was GM Luke McShane (ELO 2643), followed by GM Shakhryar Mamedyarov (ELO 2662), congratulations! These photos were taken by well known photographer Pierre-William Henry in Neuchatel, Switzerland in a 2004 Series. All photos are on Alexandra's 3rd CD "Chess is Cool" in high resolution, with many bonuses on the CD, on sale in our webshop. Please support Alexandra's Chess Fund by purchasing this CD. These photos were taken in the period August 10-15, 2004 at the US Open in Fort Lauderdale, Florida, USA. They include photos of the tournament (where Alexandra did an excellent 7 out of 9), the book signing (with chess ex-world champion Anatoly Karpov), and the World Hall of Fame Induction Dinner. If you see a photo of yourself with Alexandra please send us an email and we will send it to you for free. These photos were taken on August 10, 2004 at the US Open in Fort Lauderdale, Florida, USA, during a 12-board simul. Alexandra did 11 1/2 out of 12 (11 wins and one draw), bravo! 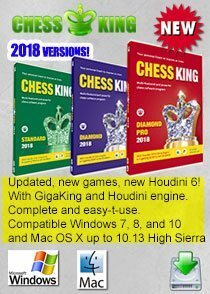 Alexandra gave away 2 Chess Computers "Alexandra the Great" by Excalibur as prizes! If you are one of the players of the simul, and you see a photo of you or you with Alexandra that you'd like to have, please send us an email and we will mail or email you the photo(s) for free! These photos were taken in the period June28 - July 11, 2004 in Kazan (Republic of Tatarstan, Russia) during the Women's SuperFinal. The Top 12 Russian women were participating to try to get one of the top 4 places and Qualification for the Olympiads. Alexandra got second place and a Qualification, bravo! These photos were taken in the period June 18-22, 2004 in Warsaw (Poland), where Alexandra was playing the PWPW Cup, with the whole Polish Olympic Team, and Almira Skripchenko. Alexandra got 6.5 points and a better coefficient, which allowed her to take first place, bravo! After the Tournament, Alexandra and the other players gave a Goodwill simul to children. These photos were taken on July 16-17, 2004 in the Savoy Hotel, during a 22-board simul sponsored by the Hofmann Bank and the Chess Club Zurich, which was founded in 1809 and is the oldest active chess club in the world. She obtained the result of +15, =4, -3, bravo! These photos were taken on June 15, 2004 at the UPDK Moscow office, where Alexandra played a 20-board simul, with a result of 19/20 (18 wins, 2 draws, no losses). The prize distribution of the Sudostroitelny Bank Cup (SMS and internet match World - Alexandra - won by Alexandra) was also held. Prizes were given out (the $5,000 first prize, chess computers "Alexandra the Great" by Excalibur Electronics, and Alexandra's books "How I became Grandmaster at Age 14"
These photos were taken on May 15, 2004, in the Hotel Elite in Bienne, where Alexandra gave a Goodwill simul to 40 children - with free gifts to all (caps, photos, pens, an Excalibur chess computer "Alexandra the Great" and 6 wonderful watches from Balmain!! These photos were taken in Venice (Italy) on April 24-26, 2004, where Chess Champion Alexandra Kosteniuk is enjoying 3 vacation days after her 20th birthday, which was on the 23rd of April 2004. These photos were taken in Paris on April 23, 2004, where Chess Champion Alexandra Kosteniuk spent her 20th birthday. Just 3 weeks ago Alexandra became Woman European Champion, that's a wonderful present she gave herself! Congratulations! These photos were taken in Dresden (Germany) during the period March 19 - April 4, 2004. Alexandra got 9.5 out of 12 during the tournament, then beat Peng in the tie-break for the title of European Champion. Alexandra did a 2625 perfomance and earned the GM (men) title. These photos were taken on January 8, 2004, during the Consumer Electronics Show in Las Vegas, at the booth of Excalibur Electronics, maker of the chess computer "Alexandra The Great"
These photos were taken during the K-12 Scholastics in Chicago, on Dec. 11-13, 2003, when Alexandra played a 40-board simul, and gave away lots of presents, including 3 beautiful Swiss watches, worth $500 each! These photos were taken in Switzerland on December 9, 2003 during a stop-over Alexandra made on her way from Moscow (Russia) to Miami (USA). These photos were taken in Moscow during the period December 4-8, 2003. These photos were taken in Plovdiv (Bulgaria) during the period October 10-21, 2003. These photos were taken in Crete (Greece) during the period September 27-October 5, 2003. The team in which Alexandra played won the Championship. Alexandra scored 5.5 out of 7. September 12, 2003 These photos were taken by well known photographer Zhenia Minkovich in Paris, in a 2003 Series. All photos (plus others) are on Alexandra's 2rd CD "Fashion & More" in high resolution, with many bonuses on the CD, on sale in our webshop. Please support Alexandra's Chess Fund by purchasing this CD. These photos were taken in Amsterdam on September 5 and 6, 2003 when Alexandra played the first ever chess simul against 6 opponents, who transmitted their moves with their cell phones in i-mode, a service of the company Mobile Exc ellence, who calls it "w-chess". Alexandra did 5.5 out of 6, bravo Alexandra! Premiere of Alexandra's movie "Bless the Woman"
August 2-8, 2003 Alexandra Kosteniuk is taking a short vacation in Venice after her Summer Chess Tournaments! These photos were taken on June 20-22 in Paris, where Alexandra stopped for a couple days before leaving for the USA where she will play in the World Open in Philadelphia. These photos were taken on the night of the 14th-15th of June 2003 during the first Viennese Ball of Moscow, where Alexandra was invited as a star "Debutante" to dance the waltz, along with Pop superstar Alsu and famous gymnast Alina Kabaeva. Her sister Oxana was also a Debutante! These photos were taken on the 12th of June 2003 (Independence Day of Russia and at the same time 56th anniversary of the city of Lesnoi, Russian Urals - about 300 kilometers from Ekaterinburg), where Alexandra made a gift to the city of a simul on 56 boards! She obtained 47.5 points! Bravo! These photos were taken on the 9th of May, 2003, on the Holiday of the Victory against the Nazis on May 9, 1945. The center of Moscow was closed to automobiles and it was a sunny day, which guaranteed a good mood for all! Photos on the theme of Alexandra's logo "2 years after"
These photos were taken on the 23rd of April 2003 (on Alexandra's 19th birthday) by photographer Carmelo Cunsolo of FX Photo-Graphics, Inc., in the same pose as the famous 2001 photo (on which is based our logo ) taken by Natalya Dolgina for FIDE . These photos were taken on January 31, 2003 in Brissago, by photographer Ugo Zamborlini of the magazine "Class"
Here are the photos taken on November 27, 2002 at the Central Chess Club in Moscow, where Russian teams were congratulated for their excellent performance at the Olympiads in Bled. Alexandra Kosteniuk visited the Nao Chess Club (the famous Parisian club of Ms. Nahed Ojjeh) on October 4, 2002. After visiting the club Alexandra took a walk in Paris, especially around the Sacre Coeur in Montmartre. During filming of "Bless the Woman"
Glamour photos taken by the Elle Girl team in London in August 2002 Please don't use these pictures, neither for web or print. Alexandra's Match against David Howell, British "wunderkind" These pictures were taken in August, 2002 in London, during the 4-game match between Alexandra and David Howell. Alexandra won 3.5 to 0.5. February 2001 These photos were taken by Natalya Dolgina, for FIDE, in order to promote chess and a chess uniform. These photos are NOT for web nor print publishing, sorry! 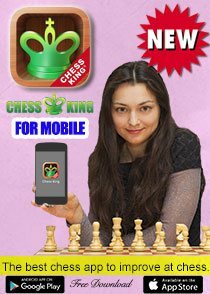 Here you will find covers of magazines and newspapers in which Chess champion Grandmaster Alexandra Kosteniuk was featured.